The graphing applet in TI Nspire is a great tool for visualizing Weibull distribution, by adjusting the variable sliders for shape and scale parameters. 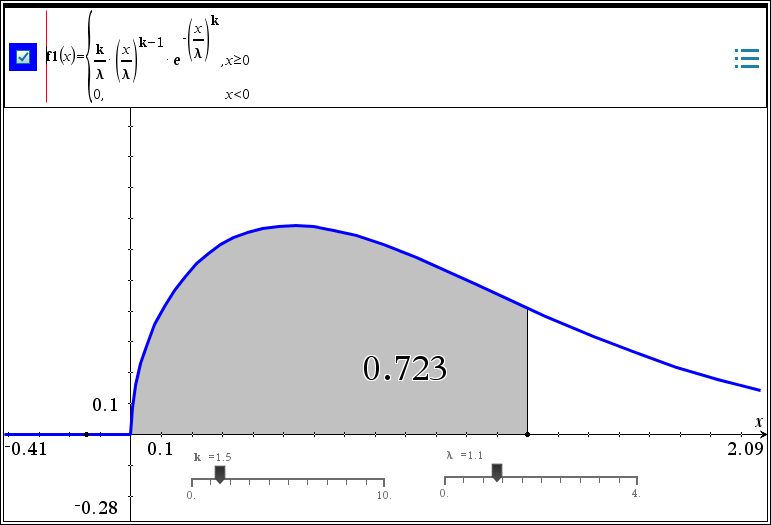 Cumulative distribution is easily obtained by the Integral function under analyze graph feature. This entry was posted in calculator, reliability and tagged TI nspire, Weibull distribution on July 25, 2015 by gmgolem.